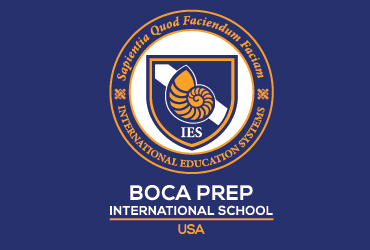 The mission of Boca Prep International School’s comprehensive school counseling and guidance program is to prepare every student socially, academically, and emotionally for present and future challenges. Students are provided with opportunities to gain an understanding of self and others, to participate in educational and occupational exploration, and to pursue career planning opportunities in an environment that is safe, caring, and encouraging. The school counselor works in collaborative partnerships with: students, educators, and parents to empower students to reach their highest level as productive members of society. The comprehensive school counseling and guidance program is an essential integrated component of the total instructional program through which students have opportunities for: academic, career, and personal/social development. 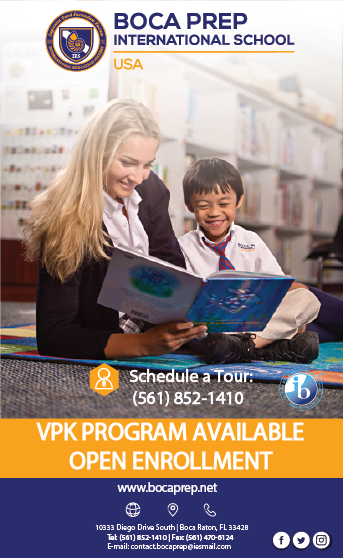 In this regard, the school counseling and guidance program involves a planned, purposeful, and sequential program of activities that begins in Pre-Kindergarten and continues through the 12th grade (PYP, MYP and DP). Comprehensive school counseling and guidance programs are data-driven by student needs and provide outcome-based accountability measures that align the school counseling and guidance program with the school’s overall academic mission. The school counselor at Boca Prep plays a unique role. Acting as a liaison between students, teachers, administrators and parents, accessibility is key. The school counselor can be found making observations in the classroom, on the playground, field and in the cafeteria. Promoting greater school success by focusing on issues that might arise within the classroom, academically, behaviorally, socially or within home environments, the school counselor comes up with strategies that can bring about a more positive outcome which is an essential part of being a school counselor. The guidance program is designed to address the needs of all students by helping them acquire competencies in career planning and exploration, knowledge of self/others and educational/vocational development. The school counseling program is student-centered, we believe that all students should be able to learn in an environment that meets their needs in order to achieve their maximum potential. Together we (administrators, faculty, and parents) can provide a respectful and encouraging environment that helps our students meet present and future challenges. The school counselor at Boca Prep is a licensed counseling professional that can assist in dealing with or aiding in the prevention of problematic situations that can impede progress and success on an academic or personal level. Any student can request to meet with the school counselor or they can be referred by a teacher, administrator or parent. We encourage you to reach out to the school counselor if you have any concerns.